How Much Will It Cost to Sod My Yard? Laying sod is the faster, more reliable alternative to seed for planting a new lawn. It is also more expensive than seed, but for many homeowners the benefits outweigh the cost. Sod prices average $1.50 to $4 per square yard at the time of publication, depending on the grass species, so sod for a yard with an area of 0.25 acre will cost about $1,815 to $4,840, since 1 acre equals 4,840 square yards. A worker lays down new sod. The first step in determining how much it will cost to sod an area is calculating the yard size. Different yards, even on the same-size lot, will have different lawn areas depending on the size of the house, how much of the lot is paved and other things like gardens that take up space on the lot. To accurately estimate the square footage of your yard, first draw a sketch of the yard layout. Unless the yard is perfectly rectangular, it is easiest to measure the lawn after dividing this sketch into rough geometric shapes like rectangles, ovals and triangles. Then, measure the actual length and width of each shape in feet and calculate the square footage. For rectangles, multiply the length by the width to find the square footage (area = length x width). For ovals, multiply the length by the width, then multiply by 0.8 (area = length x width x 0.8). For triangles, multiply the height of the triangle by the width of the base, then multiply by 0.5 (area = height x base x 0.5). Once you know the area of all the shapes, add up the results to find the total square footage of the yard. Several factors affect sod cost, including grass quality, type and the location where it is purchased. Higher-quality sod will cost more, but it will also grow into a healthier lawn. Prices vary for different species and are also affected by region and whether or not you have a large yard, and the grower offers quantity discounts. Zoysiagrass costs about $2 to $4 per square yard (Zoysia spp, U.S. Department of Agriculture plant hardiness zones 6 through 9). Bermudagrass is less expensive, costing about $1.50 to $2.50 per square yard (Cynodon spp, USDA zones 7 through 10). Kentucky bluegrass costs about $1.50 to $3 per square yard (Poa pratensis, USDA zones 2 through 7). Tall fescue, which is sometimes mixed with bluegrass, costs about $1.50 to $4 per square yard (Festuca arundinacea, USDA zones 2 through 7). .
Sod is either sold by the square foot or the square yard. If your supplier sells by the square foot, order enough to match the calculated square footage of your yard. If your supplier sells by the square yard, divide the total square footage of the lawn by 9 to find how many square yards are required. Make sure you shop around to see what types of sod are offered in your area and how much different growers charge. If possible, inspect the type of sod a grower supplies before you order. Good-quality sod is guaranteed to be the type and cultivar you order, and the grass will be uniform in color and texture. The sod should also be free of weeds and insects. Don't be fooled into buying cheep sod that won't grow well. When you're ready to order sod, the grower should guarantee delivery within 24 hours of harvest. The price of the grass sod itself is not the only cost involved in planting a yard. There must be good-quality topsoil in place before you lay sod. If you don't have good topsoil in the lawn, you can either amend the existing topsoil with an organic compound like compost or put in new topsoil. 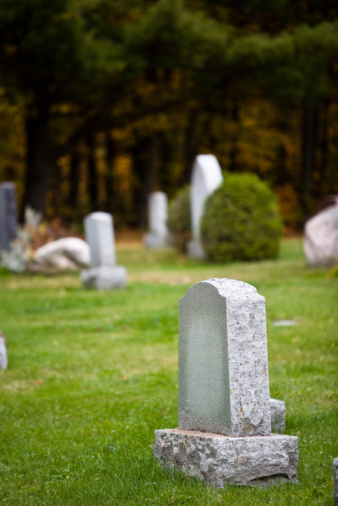 For amending the soil, plan on purchasing 1 to 3 cubic yards of organic matter per 1,000 square feet of lawn space. If you're replacing the topsoil, plan on about 19 cubic yards of topsoil per 1,000 square feet of lawn. Topsoil costs about $10 to $60 per cubic yard, depending on the quality and where you buy. Unless you can pick up the sod yourself, you'll also have to figure in delivery costs. 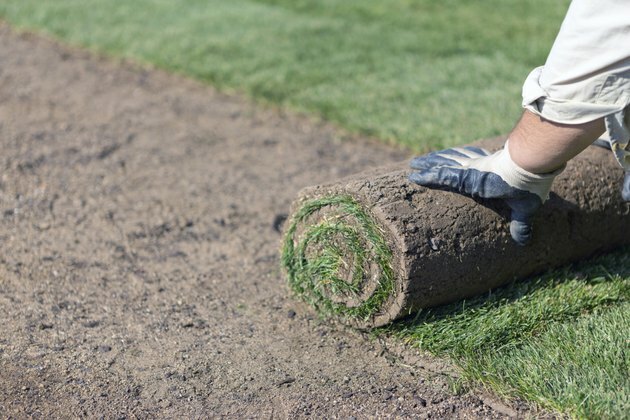 When you're finished laying sod, it is best to press it with a roller to ensure good contact with the soil beneath. These rollers can be rented, and the fee should be accounted for when calculating the total cost of laying sod in a yard.